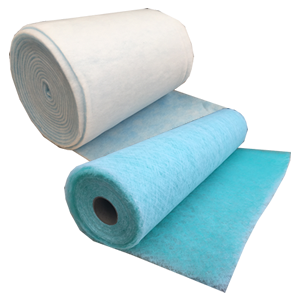 – Suitable for use with Glass Fibre, Synthetic, or Polyfoam Washable air filter medias. The Frame and Pad Air Filter System is an alternative to cardboard disposable glass or synthetic panel filters for use in ventilation and air conditioning systems. Although initially more expensive than disposable panel air filters, this system offers lower long-term maintenance costs since the metal frame is retained to be used again and again, and only the air filter media pad is discarded when dirty. The Filter Pad Frame System offers the additional advantages that the system can be upgraded by the use of different air filter media replacement pads (Glass, Polyfoam or Synthetic), which themselves, can be stored in considerably less space than complete glass or synthetic cardboard panel air filters, thus reducing carriage costs. 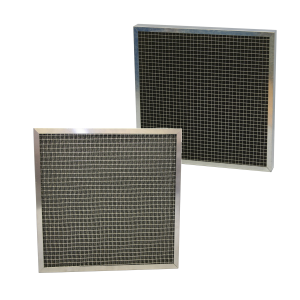 The Air Filter Pad Holding Frame consists of an aluminium or galvanised channel frame with retaining mesh on the outlet face. Corner gussets provide additional rigidity to this panel style air filter. A hinged filter pad retaining clip can be fitted to the face of the frame if required. Either glass or synthetic Air Filter Media can be supplied for installation.